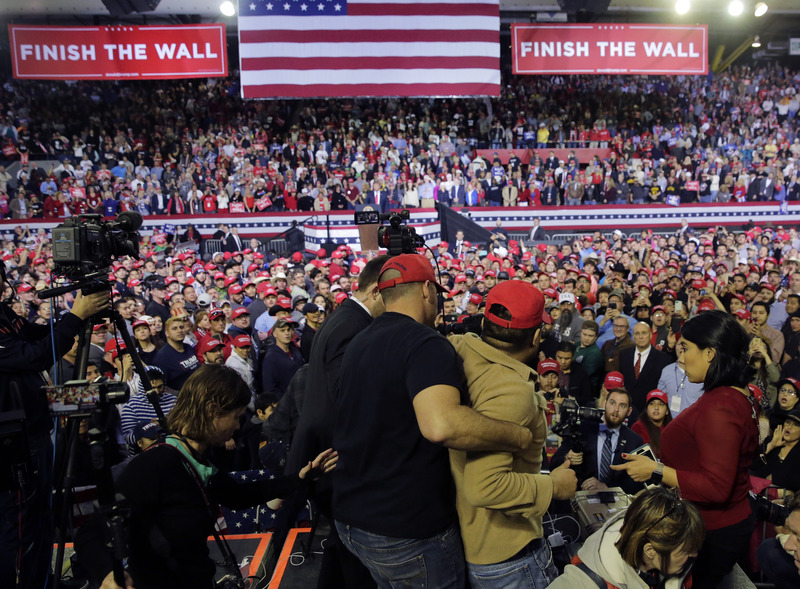 A raving Trump supporter wearing a "Make America Great Again" hat attacked a BBC cameraman during the president's rally in El Paso. Ms. Montague said the president had been criticizing the media before the incident occurred. Nonprofit organization Reporters Without Borders joined in on the outrage, tweeting to its followers that it's "deeply concerned by this physical attack". The BBC team was later told by a campaign official that the "attacker was drunk". "By the way, never wrestle him", Trump said of Gianforte at a campaign rally. "I didn't know what was going on", Skeans said, according to the BBC, describing the moment when his camera suddenly skewed down and away from the stage. "Ron is fine", the BBC says. She said the crowd had been whipped up into a frenzy by the president, and she shared video of the immediate aftermath of the attack, where she said her cameraman, Ron Skeans, was "assaulted".